This is a digital version of the archaeological exhibition displayed at the Hunterian Museum in Glasgow (3 September 2015 – 3 January 2016) and the Perth Museum and Art Gallery (2 February – 26 June 2016). The exhibition presented the dramatic discoveries made by the University of Glasgow’s Strathearn Environs and Royal Forteviot (SERF) research project from 2006 to 2011. The Cradle of Scotland exhibition presented landscape surveys, large-scale excavation, and original artefacts alongside replicas and visualisations created to reveal a previously unknown archaeological story of Scotland’s heartland. The exhibit also highlighted the latest technical and methodological advances in Scottish archaeology. There are two ways to navigate this virtual exhibit: as a visitor to the original exhibit at the Hunterian Museum or by selecting themes of method or period. 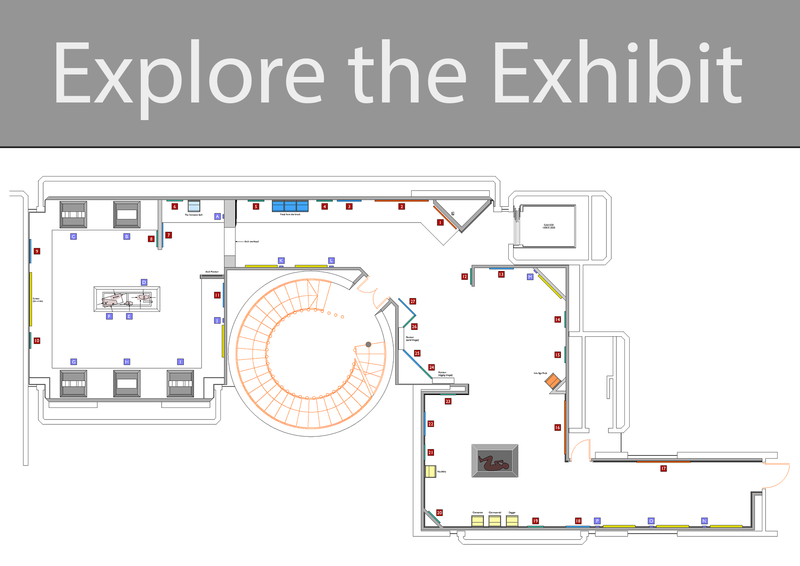 Layout of the exhibition in the Hunterian Art Gallery. Fund), Historic Scotland now Historic Environment Scotland, the University of Glasgow, Perth Museum and Art Gallery, the Royal Commission on the Ancient and Historical Monuments of Scotland, the British Academy, the University of Aberdeen, the University of Chester, the University of Liverpool, Perth and Kinross Heritage Trust and the Society of Antiquaries of Scotland. Without the participation of hundreds of students and volunteers and the co-operation of dozens of land owners and farmers the Forteviot story could not be told.